I am an Invisalign Teen ® brand spokesperson and all opinions expressed are my own. Is it time for your child to see an orthodontist? I always assumed that teenagers saw orthodontists, but what I found with my first child is that it is good to get an initial consult much sooner. In fact, by the time my oldest son was a teenager, he had been through the first phase of braces due to alignment issues that needed some action before all his baby teeth were lost. From this experience, I found out kids as young as 8 or 9 can receive an orthodontist evaluation. I also found out that the first orthodontic appointment was pain-free! 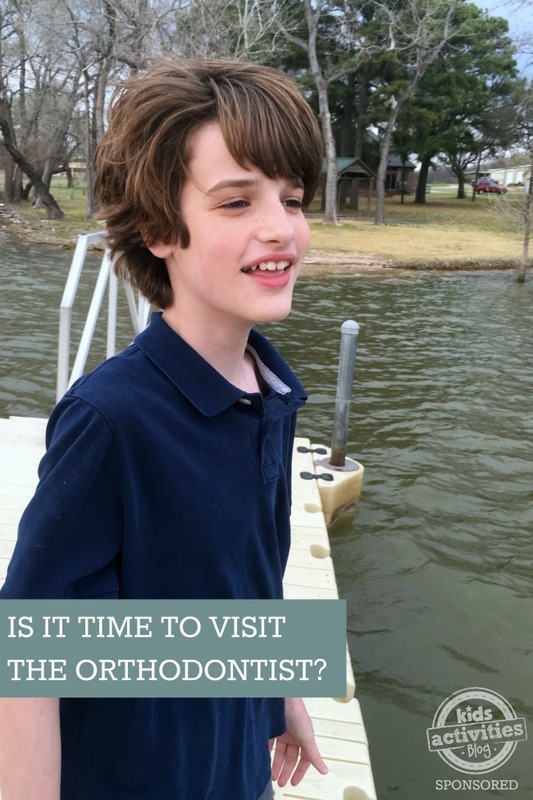 The orthodontist simply checked Ryan’s mouth with a full evaluation, reviewed his dental records, looked at current teeth alignment, asked questions about potential jaw issues or pain, and examined X-rays. He gave us several suggested treatment timelines and we opted to wait a year before beginning his first phase. I have several friends who took their kids into the orthodontist who told them that everything was fine. In our case, it was reassuring to me to know exactly what was going on and our different options. When my second boy was 10, I took him to his first orthodontist appointment. As with my first, it was obvious that he would need orthodontic intervention! The orthodontist agreed and mentioned that he would be a good candidate for Invisalign ® Teen clear aligners. He recommended that we wait until all his baby teeth had fallen out. We returned for two more checkups over the next 2 years. Reid had one stubborn baby tooth that was just hanging in there! The orthodontist said that 6 months after he lost that last tooth, we could start the Invisalign Teen treatment. Reid lost that tooth right before the holidays 2015…so we are returning in another month to see if everything is ready to go. If all goes according to plan, he will start with Invisalign Teen treatment around his 13th birthday. I’ve learned that orthodontic treatment isn’t just cosmetic. 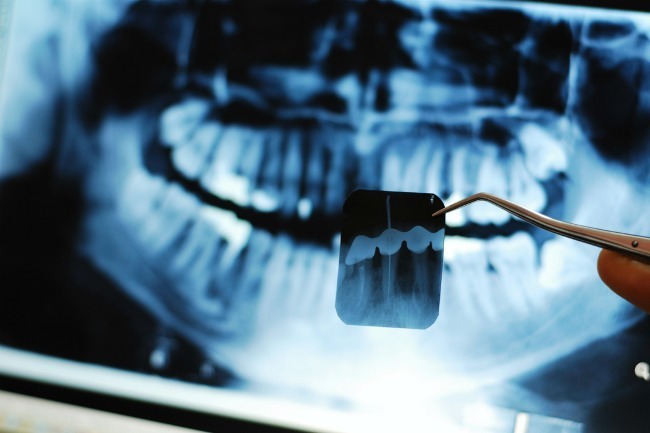 Crowded and overlapping teeth can be a hygiene issue; some kids have a bite that lead to jaw and tooth problems; and extreme cases can affect breathing and eating. I also know that you child’s first orthodontist appointment will be an informational visit and can put kids at ease about returning, and ultimately, mom and child will be armed with knowledge that allows them to make future treatment decisions. I am very relieved that Reid will be receiving Invisalign Teen clear aligners to align his teeth. His older brother’s traditional metal braces caused problems several times when brackets and/or wires were broken – and it always seemed to be the weekend or at night! I know from wearing Invisalign clear aligners myself that there are no emergency runs to the orthodontist and I always had the previous trays that I could wear if something happened to the current set until I could see my doctor. I’ve also learned that Invisalign Teen treatment includes up to six free replacement aligners, although data shows that a very small percentage of teens require them. For me, I love that the technology has become so advanced that they’re able to treat more complex cases, so it’s definitely worth getting a consultation if it’s something you’ve considered for your teen. For my son, he is mostly excited that wearing Invisalign Teen is much more subtle than traditional braces! A win win for both of us! Kids Activities Blog is excited to be working with the maker's of Invisalign Teen clear aligners again this year. Holly Homer is an Invisalign Teen brand spokesperson and thrilled to be talking about her Invisalign treatment experience as well as starting a new Invisalign Teen clear aligners journey with one of her boys. All opinions expressed are her own. Full disclosure. Previous Post: « Dog Tries To Squawk Like His Rubber Chicken!